5)The outer cover covers clothing, fabric, etc. The surface temperature reaches 85 °C ± 5 °C. The power is automatically disconnected. 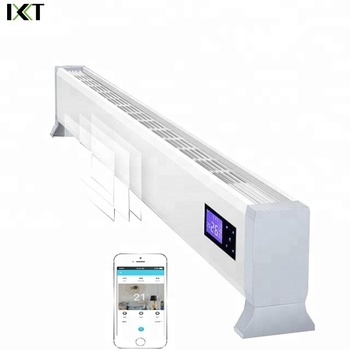 The Automation Equipment Electric Heater division is specialized in Smart Mobile Control products. 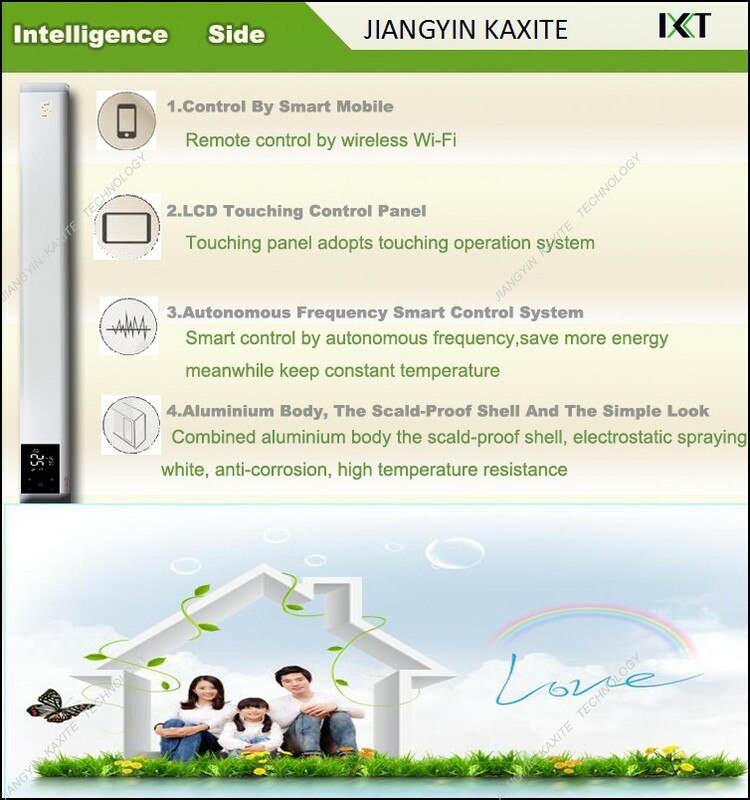 We can produce Smart Constant Temperature Heate, the third generation X-type aluminum heating tube,accurate temperature controlmulti-screen display,slient is not dry,energy saving,long service life,intelligent frequency conversion,constant temerature heating,no light,no glare,no radiation,healthier,thermal shutdown,safety protection,large thermal conductivity area,no thermal resistance,full convection,remote conntrol+wifi control,LCD touch screen,and so on. 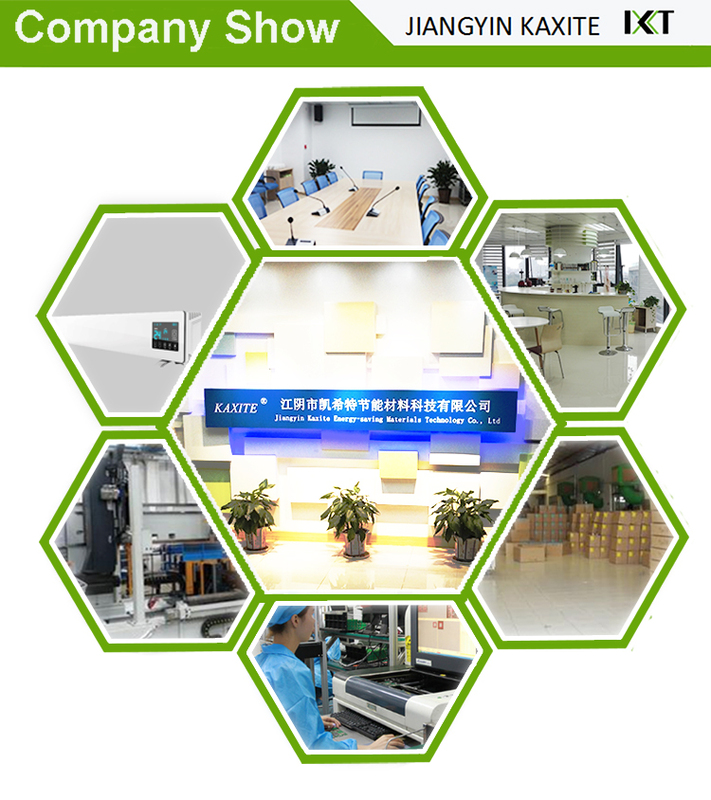 Our company provides a reliable product quality,excellent service, good prestige.We have adhere to the business philosophy:“We strive for quality, innovation and prestige in our products, to the credibility and development”,to provide satisfactory services to our clients. 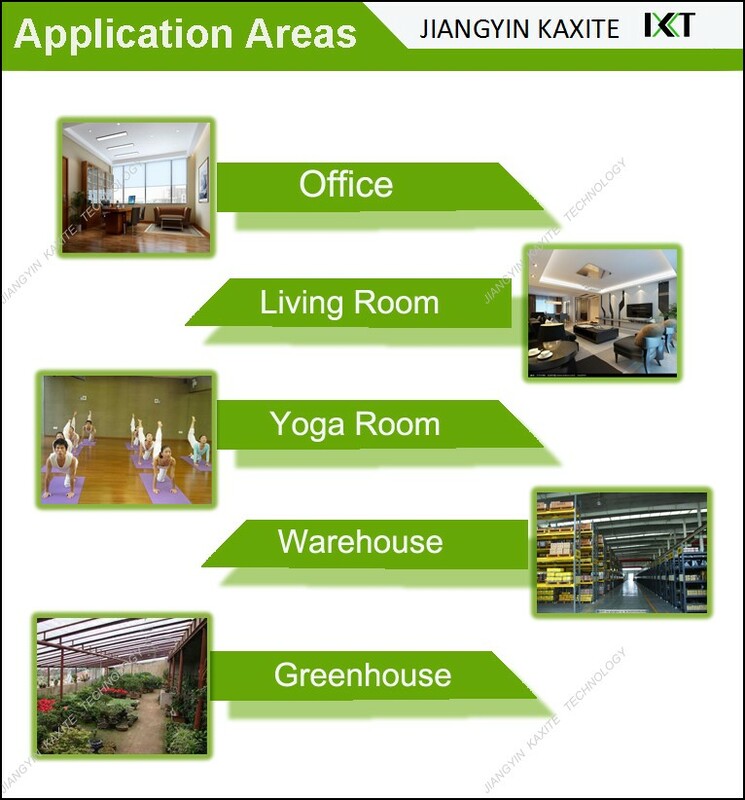 Is KAXITE a factory or trading company? 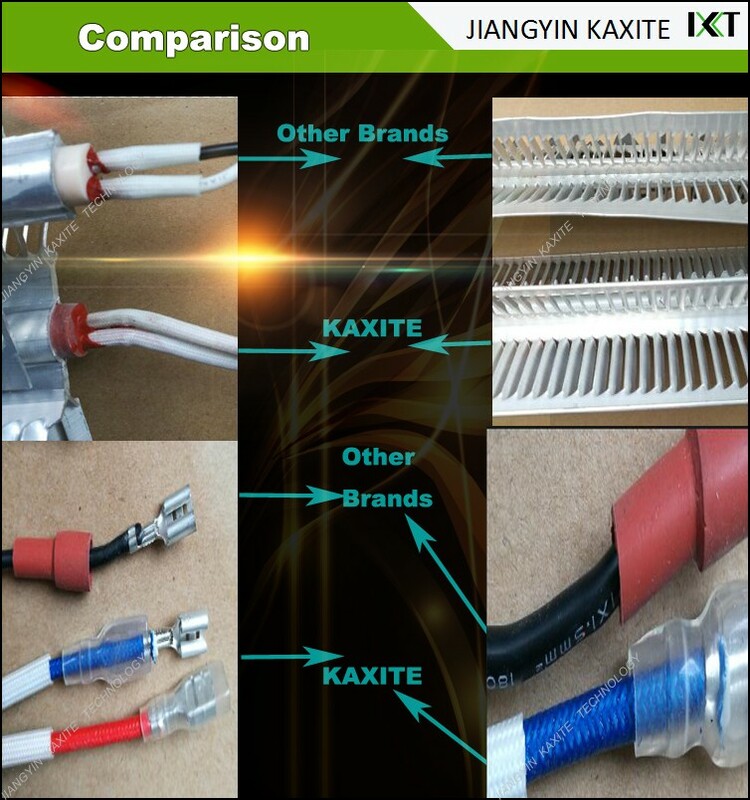 KAXITE is a factory, we are professional manufacturer of outdoor infrared heaters and heating lamps since 2001. Where is your factory? Can I visit your factory? We're in city Wuxi, middle of China. 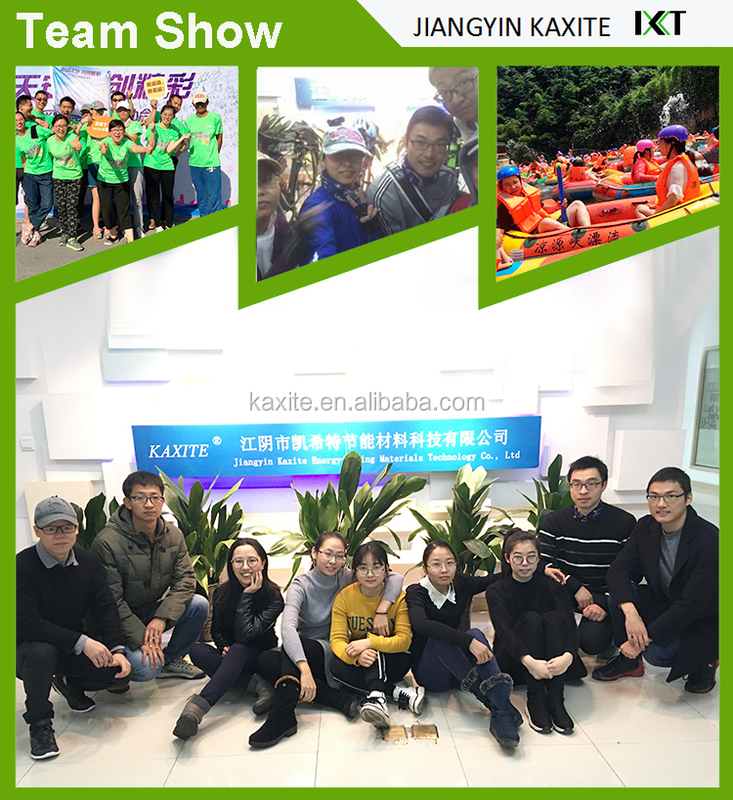 It's 1 hour by motor car from Shanghai, 2 hours by plane from Guangzhou. 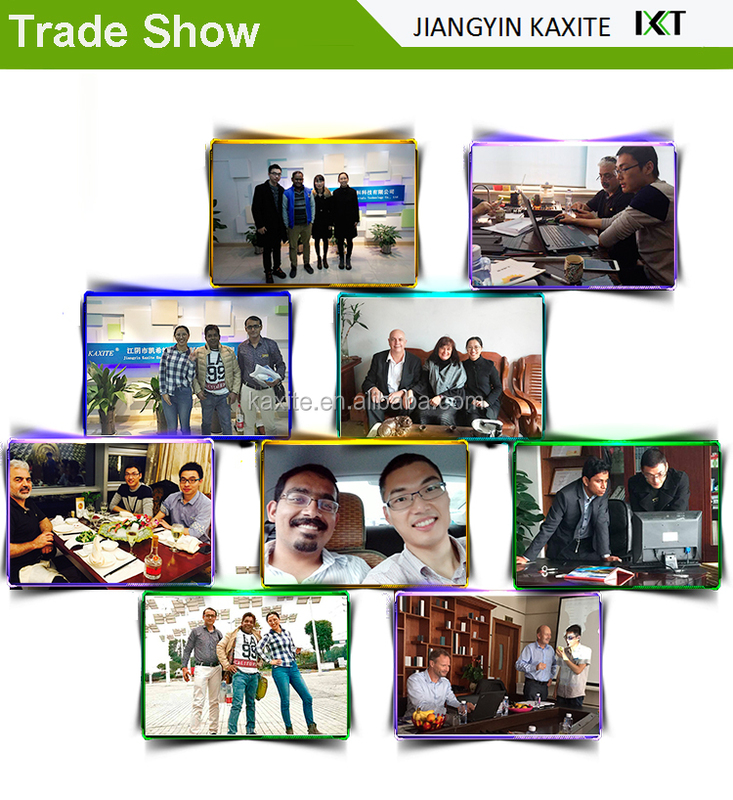 You are warmly welcome to our factory, we will be happy to show you our production, QC, warehouse, etc. Can I have samples? Is it free? Yes, we are happy to offer samples for you to check and test. Depends on sample quantity and product model, we will confirm with you whether it's free sample or not. How long shall I wait for quotation? And samples? Usually we will quote you the best price within 24 hours after your inquiry. As for samples, it will take 5-7 days. 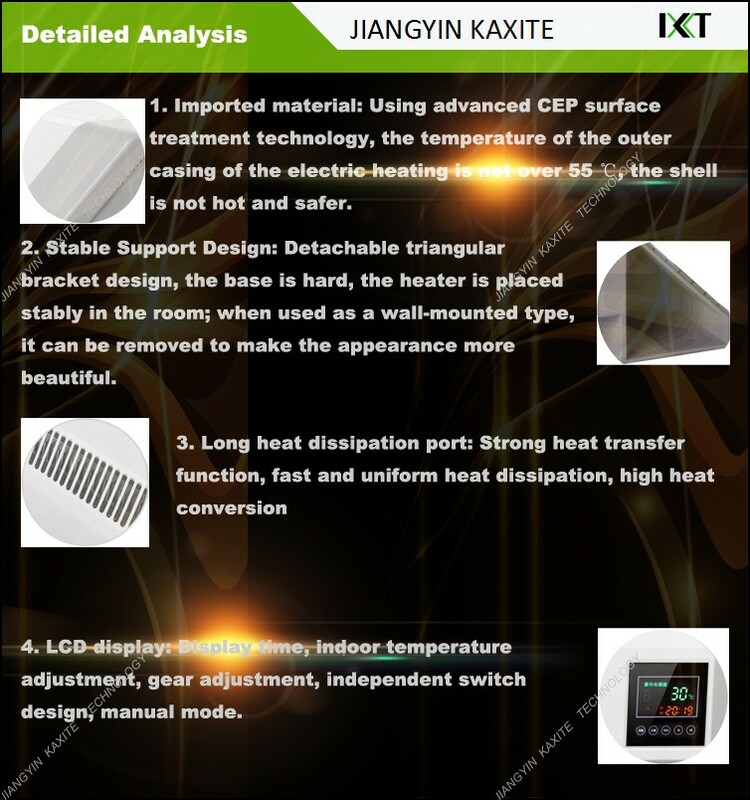 If it's special customized heating lamp, the time needed for samples could be longer. 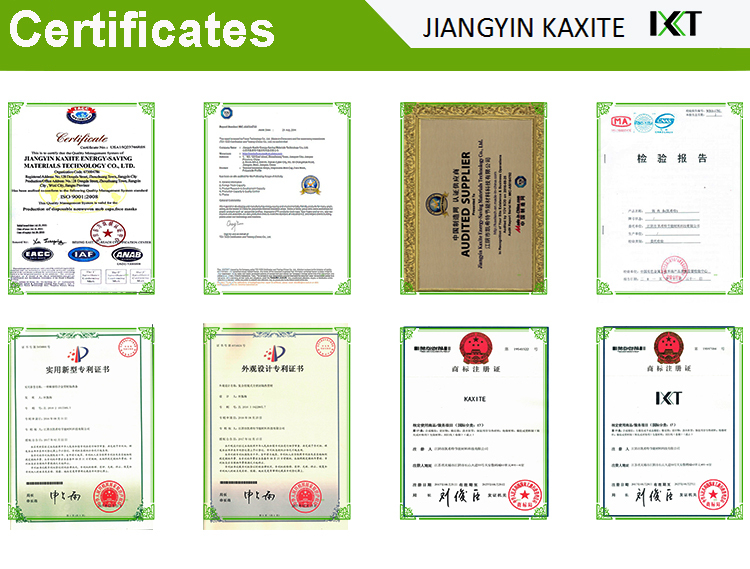 We accept FOB, CIF, EXW etc. 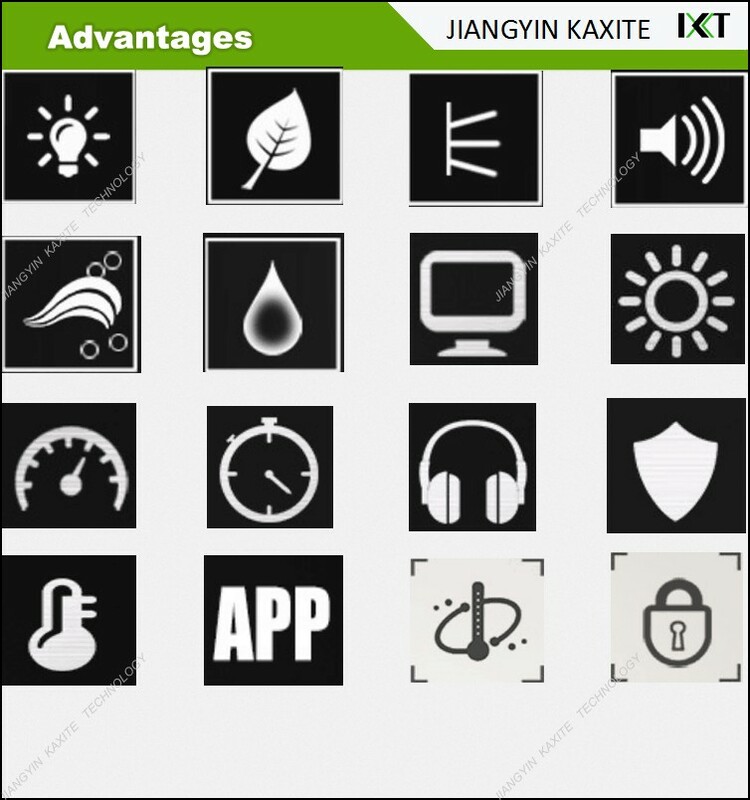 Please choose the one which is the most convenient and cost effective for you. It depends on the order quantity and the season you place the order. Generally speaking, the lead time of MOQ is about 15 to 20 days. We suggest that you start inquiry at least two months before the date you would like to get the products at your country. Yes, it must be. We guarantee 2 years for heaters and 5000-8000 hours for heating lamps. 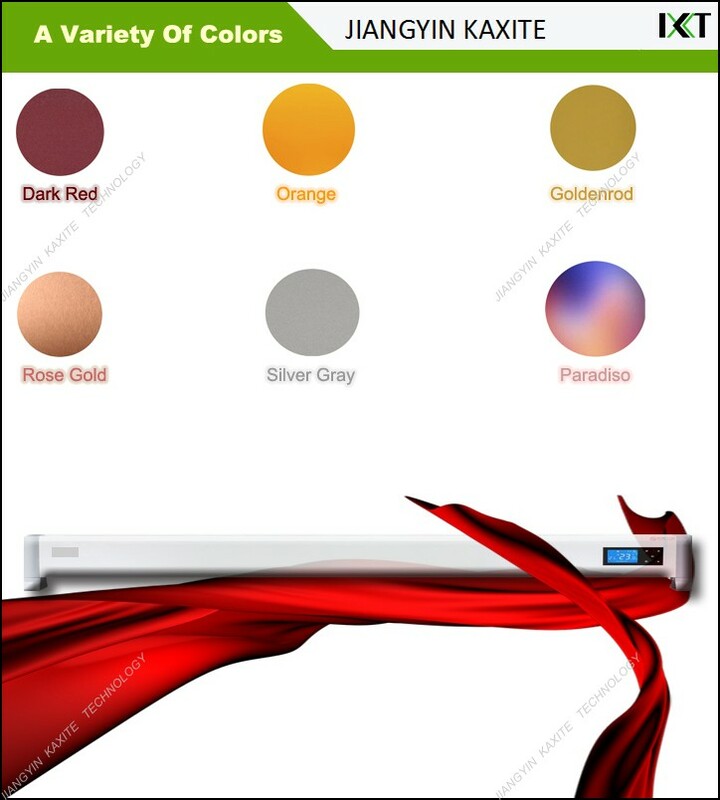 If it's customized heating lamp or heating unit, we will confirm with you the guarantee period in formal quotation together with data sheet. We also accept Paypal, Aliexpress, Western Union for small amount. Is it OK to print my logo on product? Yes, it’s possible. But please kindly note we have MOQ request for different products. 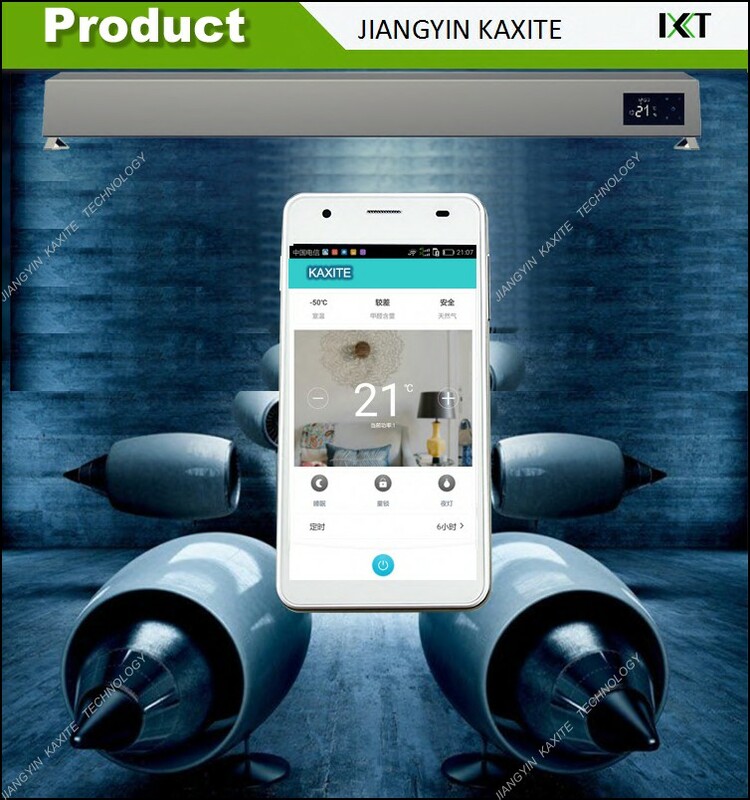 We highly recommend you using LiangDi brand, we will offer you extra discount. Yes. We have a professional team having rich experience in box design and manufacturing. Just tell us your idea and we will help to carry out your ideas into perfect packing boxes. It does not matter if you do not have someone to complete files. Send us high resolution images, your logo and text and tell us how you would like to arrange them. We will send you finished files for confirmation.